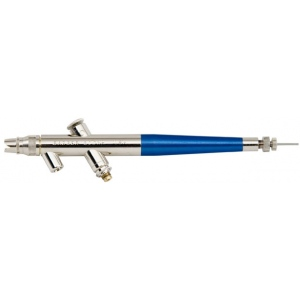 * Single Action, Bottom Feed, Internal Mix-The 200NH is the perfect, simple, fine color application tool. * Whether you're base coating, stenciling, production finishing, or applying fine clear coats-on anything from fishing lures and plastic models to lawn figures and craft pieces it doesn't get any easier or more efficient than with the 200NH. * Set the color-Press the trigger-Aim the airbrush, and SHAZAM! 1 piece or 100, the perfect finish everytime.